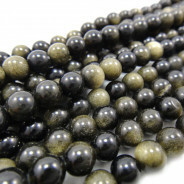 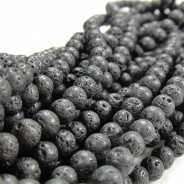 Snowflake Obsidian 6mm Round Gemstone Beads (~66pce Strand) - 40cm/16'" Strand. 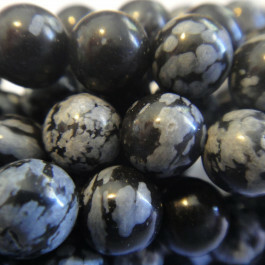 Snowflake Obsidian is a natural occurring volcanic glass with grey Cristobalite markings. 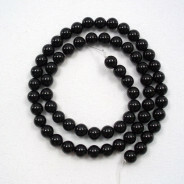 Believed to be beneficial in bringing all things to the surface in a gentle manner. 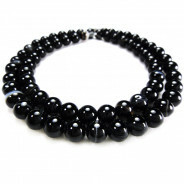 Used in times of change, for purity and protection.